FINAL VIP TICKETS FOR BLOODSTOCK NOW ON SALE! 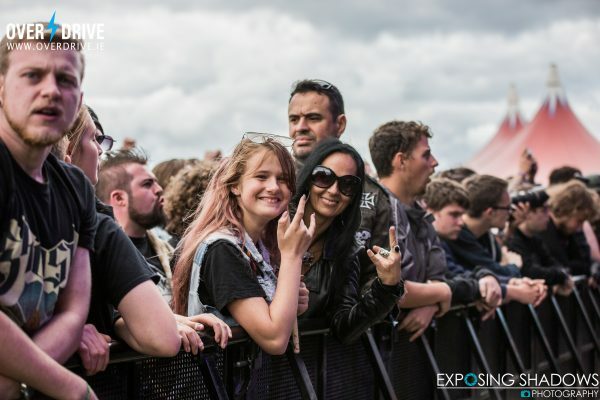 The second & final wave of Bloodstock VIP ticketing, including a limited amount of VIP upgrades priced at £145 and a limited number of deluxe VIP packages (Octopads, Bellepads and Podpads remain available. Luxpads are sold out.) became available at 9.00am today, Friday 15th December. Don’t delay if you want to join us in 2018’s VIP Serpent’s Lair! The very popular Deposit Scheme (allowing you to break your ticket payment over five manageable instalments) will be announced on Thursday 21st December. A very limited amount of 50 VIP tickets will also be available via the deposit scheme, subject to availability. Also selling out in record time this year was our Early Bird ticket allocation at the discounted price. 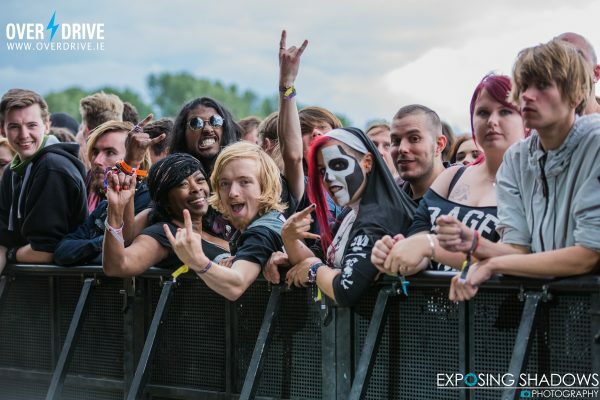 Standard weekend tickets are now available, priced at £145 for four days of metal fun, so grab yours now at the ticket store! A small handful of camper van pitches are still available. 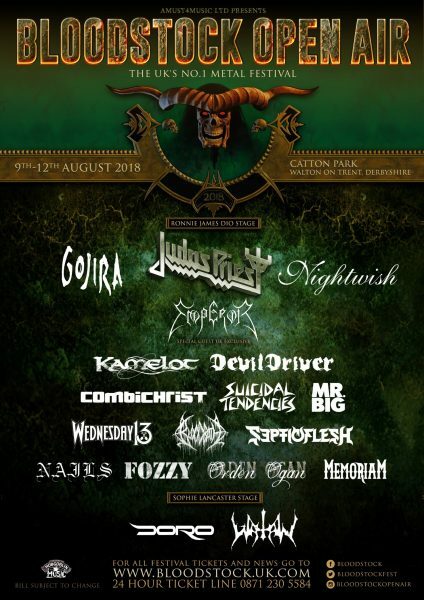 With Friday night headliners, JUDAS PRIEST, Saturday headliners, GOJIRA and Sunday’s bill-toppers, NIGHTWISH already announced, as well as EMPEROR, DEVILDRIVER, WATAIN, SUICIDAL TENDENCIES, WEDNESDAY 13, FOZZY, COMBICHRIST, BLOODBATH, MR BIG, KAMELOT, DORO, ORDEN OGAN, SEPTICFLESH and MEMORIAM so far, 2018 is shaping up to be another stellar year for BLOODSTOCK. If you already know you can only join us for one day, sign up for a reminder email as day tickets will not go on sale until next summer. Register your day ticket interest here.